Wondering what the weather in India is like at different points of the year? Well, India tends to have three different seasons: winter, summer and monsoon. 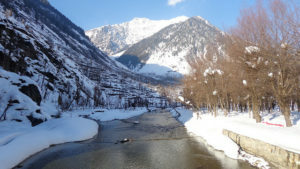 Each comes with quite an intense change in the climate bringing either impulsive rain showers, heat so extreme you cannot step outside during midday, and even towns even covered in a blanket of snow in the northern region of the country. If you plan your trip with us we will help you decide which area is best to visit during the month that you are here. The most ideal time to visit is during the winter months (Oct-Feb) when the days are much cooler throughout India. Although this is peak tourist season and prices will be higher, you will have a lot more comfortable trip where you won’t have to escape the heat during the day. There is even a chance of seeing snow in the north of India. North India: (i.e. Delhi, Agra, Rajasthan etc). Visit from Oct to March (10˚C – 28˚C). South India: (i.e. Goa, Kerala, Tamil Nadu etc) Visit from Oct to April (22˚C – 32˚C). Himalayas: Visit from Apr-June to avoid the heat of Central India or during Sept – Mid-November to catch the snow. These are the best times to trek (avoid July-August as this is the monsoon season). May to September are generally the non-touristy months with a significantly lower number of tourists and cheaper hotel prices. This is because the summer brings intense heat which can be quite unpleasant, even for the locals let alone tourists! We would suggest you avoid travelling in these months but we also realise sometimes it cannot be avoided, therefore plan around the weather and head to somewhere that isn’t as unbearable. Towards the later months from June-August the monsoon season hits and many places will face heavy spurges of rain plus high humidity. You should visit the top of the Himalayas in Kashmir as it will have much more pleasant weather than central and south India. 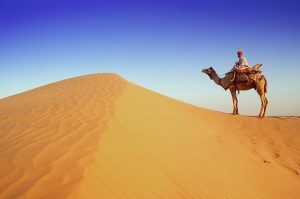 North India can be extremely hot (35˚C – 40˚C) and therefore it best avoided. South India will also be hot but is more pleasant than the North (25˚C – 35˚C). You can also escape to hill stations or forest areas that are a lot cooler. Plus, beaches will be less crowded so it’s not all bad! Himalayas – April, May, June, September & October are the best months to trek. 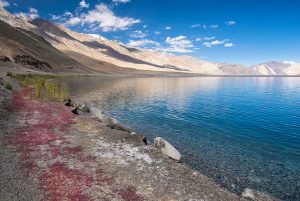 The summer melts the snow and treks that were formerly inaccessible, like the road to Pangong Lake, become open. How much would a two week holiday in India cost? 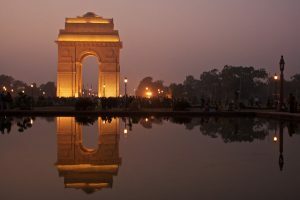 A typical two week holiday, with a couple of internal flights, train travel by air-conditioned coach, comfortable, value for money accommodation, food and monument entrance fees would cost Euro 500 to Euro 700 (USD 700 – USD 1000) per person (excluding flight to and out of India). By spending a little more you can indulge in a few pampered hotel stays, or even rent a car (and driver) for certain legs of your journey. 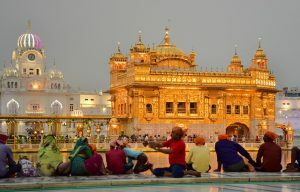 Alternatively, if you decide to backpack India on a shoestring you can spend even less than Euro 500 (USD 700), but you should be willing to compromise on comfort. Flights from Europe can range between Euro 400 to Euro 800 depending on the season and how early you book. From North America prices can range between USD 900 to USD 1300, again depending on the season and how early you book flights. Flights are most expensive in and around December.